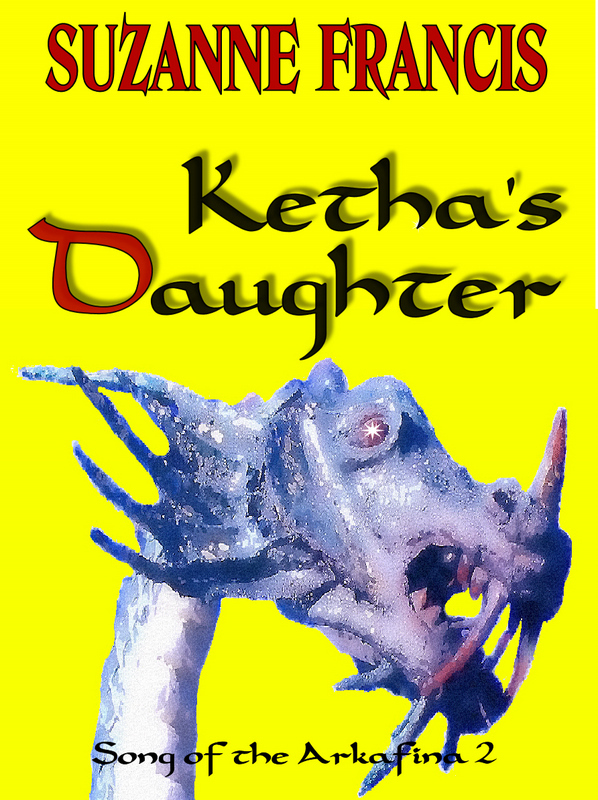 Here are the two leading candidates for the paperback cover of Ketha’s Daughter. I like them both. I’d like a second opinion! The yellow one is kinda… fake-ish looking. I like the blue one, too. It looks like sky and clouds. I vote for the Blue. I really had no idea what the constraints were when I started designing with the dragon and neither of my candidates is actually very suitable. It is kind of a disappointment, but I have to face reality.